after the Losar celebrations have come to an end, Lhasa is waking up again. I like to take this opportunity to provide you with the third update of this year, featuring news on the latest activities of dPal brtsegs and on a series of books called A Journey to Experience China Tibetan Culture. Furthermore, this update features newer and older publications on Tibetan art, Tibetan language and other topics. The second set featuring the volumes 31–60 of the Bod kyi lo rgyus rnam thar phyogs bsgrigs is in print and should be available after one month (I will upload its dKar chag as soon as I get it). In total, the collection will feature 120 volumes. In the near future also the bKa' gdams gsung 'bum phyogs sgrig thengs bzhi pa as well as new works in the mKhyen brtse'i 'od snang series will be published. Besides the four titles listed below, a fifth book published in the series called 'Di ni bod ljongs red is available. However, this publication is only in Chinese. 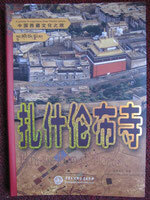 Other books in this series still to be published are Jokhang Temple and Sakya Monastery. 1. Phuntsok Namgyal (ed.). Ntho-gling Monastery / 托林寺. Encyclopedia of China Publishing House, 212 pp., 2010. ISBN 978-7-5000-8359-7. 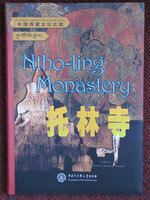 A fully colored book on the mTho lding/gling monastery, focusing especially on the murals of the different chapels. The text is given in Chinese as well as English. 2. Phuntsok Namgyal (ed.). Potala Palace / 布达拉宫. Encyclopedia of China Publishing House, 196 pp., 2010. ISBN 978-7-5000-8361-0. 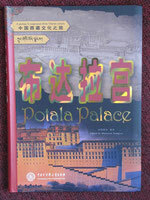 A fully colored book on the Potala, introducing its various chambers and religious objects. The text is given in Chinese as well as English. 3. Phuntsok Namgyal (ed.). Bkra-sis-lhum-po Monastery / 扎什伦布寺. Encyclopedia of China Publishing House, 196 pp., 2010. ISBN 978-7-5000-8360-3. A fully colored book on the bKra shis lhun po monastery, introducing its various temples, chapels and religious objects contained. The text is given in Chinese as well as English. 4. Liu Wulin / 刘务林. Life on the World Roof / 世界屋脊上的生物. Encyclopedia of China Publishing House, 227 pp., 2010. ISBN 978-7-5000-8362-7. 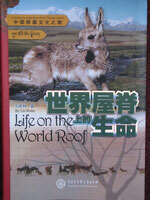 A fully colored book on the geography, flora and fauna of the different Tibetan areas. The text is given in Chinese as well as English. 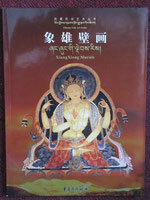 Fully colored book with the introduction and all entries in Chinese, Tibetan, and English. 2. 年炘 (Nian Xin) (ed.). Zhang zhung gi ldebs ris / Xiang Xiong Murals / 象雄壁画. Bod ljongs dmangs khrod sgyu rtsal deb tshogs / Tibetan Folk Art Series / 西藏民间艺术丛书. Chongqing Publishing House, 146 pp. (A4 size, soft cover), 2003. ISBN 7-5366-6019-7. Fully colored book on the murals of Gu ge (pp. 1–91) and Dung dkar and Phyi dbang (92–146), including a four page introduction in Chinese. 3. 杨嘉铭(Yang Yijia), 目雅 ·丁增 (Muya Dingzeng), and 杨艺(Yang Yi.). 康巴唐卡: 藏传绘画艺术吉祥瑰宝 (Khampa Thangka: A Treasure of the Arts of Tibetan Traditional Painting).中国旅游出版社 (China Tourist Publishing House), 124 pp. (A4 size, hard cover), 2010. ISBN 978-7-5032-3885-7. A fully colored book on thangka paintings from Khams (mainly Karma sgar bris); pages 1–28 feature the introduction in Chinese and pages 29–121 the color plates (though the book cover shows various mandalas, the actual thangkas shown include no images of mandalas). 1. Pema Gyatso and Geoff Bailey. Language Pathways: A Tibetan and English Reader, Book Two – Beginner/Intermediate Level (with CD). sKad yig lam bzang. Bod dbyin klog deb. Tibet People's Press: Bod ljongs mi dmangs dpe skrun khang, 217 pp. (A4 size, soft cover) 2011. ISBN 978-7-223-03004-5. The second book in the Language Pathways series, which in total will comprise five books (each in another color symbolizing the five colors of the Tibetan prayer flags). 1. bSod nams tshe ring (ed.). gTsang khul gting skyes dgon sde'i gnas bshad. Bod ljongs gna' shul gnas mchog. Bod ljongs mi dmangs dpe skrun khang, 108 pp., 2011. ISBN 978-7-223-03010-6. A fully colored book (A5 size, soft cover) on the monasteries of bKra shis chos 'phel gling, dByang dgon bSam gtan chos phug, and gZar chos 'khor bde chen gling in gTing skyes. 2. sKal ldan nyi ma. Rin po che dang sa rdo'i sman gyi ngos 'dzin gsal ston me long. Mi rigs dpe skrun khang, 210 pp., 2010. ISBN 978-7-105-11180-0. 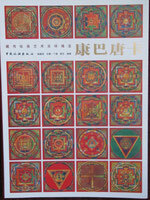 A fully colored book (A5 size, soft cover) introducing different stones and other substances used in Tibetan medicine by presenting on each page one substance giving its color picture and Tibetan description. 3. gDong dga' Kun dga' rgyal mtshan (ed.). Zhal gdams phyogs bsgrigs thar lam gsal ba'i sgron me. Mi rigs dpe skrun khang, 349 pp., 2009. ISBN 978-7-105-10125-2. A collection of numerous instructions and spiritual songs of various Sa skya pa masters such as the Five Sakya Founding Fathers, Rong ston Shes bya kun rig (1367–1449), Red mda' ba gZhon nu blo gros (1349–1412), Go rams pa bSod nams seng ge (1429–1489), rDzong chen Kun dga' rnam rgyal (1432–1496), Tshar chen Blo gsal rgya mtsho (1502–1566), Ngor chen dKon mchog lhun grub (1497-1557), sDe gzhung mChog sprul A 'jam Rin po che (1885–1952), 'Jam dbyangs Chos kyi blo gros (1893–1959), sKyabs rje Blo dga' Rin po che and others. 4. Cha ris sKal bzang thogs med. Bod btsan po'i lo rgyus dang 'brel ba'i mtha' dpyod gces bsdus. Mi rigs dpe skrun khang, 359 pp., 2010. ISBN 978-7-105-10673-8. 5. gDugs dkar tshe ring. Bod rig pa'i dpyad 'bras thor bu. Mi rigs dpe skrun khang, 504 pp., 2007. ISBN 978-7-105-08200-1. 6. Pho brang po ta la do dam khru'u rig dngos zhib 'jug khang (ed.). Pho brang po ta lar tshags pa'i bka' brgyud pa'i gsung 'bum dkar chag. Bod ljongs mi dmangs dpe skrun khang, 350 pp. (A4 size, hard cover), 2007. ISBN 978-7-223-02254-5. 7. mDo mkhar Zhabs drung Tshe ring dbang rgyal. Mi dbang rtogs brjod. Si khron mi rigs dpe skrun khang, 620 pp., 2002 (2nd edition). ISBN 7-5409-2257.5. The biography of Pho lha nas bSod nams stobs rgyal (1689–1747). 8. bDud 'joms Ye shes rdo rje (1904–1988). bDud joms chos 'byung: Bod snga rabs pa gsang chen rnying ma'i chos 'byung legs bshad gsar pa'i dga' ston gyi dbu 'dren gzhung don le'u ngos 'dzin. Si khron mi rigs dpe skrun khang, 661 pp., 1996. ISBN 7-5409-1370-3. I got hold of a few copies of bDud 'joms Ye shes rdo rje's history of the rNying ma tradition of Tibetan Buddhism.